Do you want to use the attraction of film for young people to efficiently pass on knowledge in your classes? Are you looking for videos which were designed specifically for use in class? Do you want to find relevant films quickly and use them legally? Or do you need simple tools to be able to put together well-structured cover lessons? 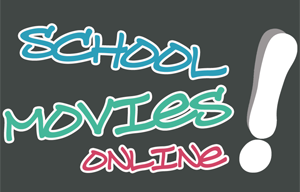 Our video portal offers you over 1,000 school films from13 subjects. You can filter by subject, target group or type of school in the navigation bar on the left to see a list of the corresponding films. Or search for titles, topics and search terms by clicking on the magnifying glass at the top right. Clicking on a film in the results list opens the description of the contents and shows a trailer, giving you an exact impression of the quality of our films. After selecting the films you would like, you can complete your purchase in just a few clicks. When paying by direct debit or PayPal, you will immediatelyreceive a download link to your films. You can also pay by invoice. The download link will then be sent within 2-5 workdays. A teaching license grants you unlimited use licenses and you can use the films in your classes as often as you like. If you also want colleagues at your school to be able to use the films, please purchase a school license. Attractive discounts can be offered to registered users when buying several films. Special conditions are extended to trainee teachers upon request and with proof of trainee teacher status. If you want to use the school films regularly, the flatrate for your department is good value for money. A flatrate is valid for 1 calendar year after ordering and expires automatically after 1 year. New films uploaded during the licensing period are also accessible with the flatrate.You may no longer show the films in class after expiry of the license. Do you want to simply and legally provide the teachers at your school with educational films for the efficient transfer of knowledge? Do you often have classes being covered by other subject teachers and need simple tools to make sure that cover lessons are also effective? Do you want to promote digitalization and media skills at your school? We offer you short, single-topic educational films which have been specially developed and produced for use in class. The films are quality-controlledand free from advertising. The contents are based on German curricula. All videos can be downloaded and thus also used in classrooms without fast internet connections. Our video portal offers over 1,000 school films from13 subjects. It also includes English films, films with subtitles for the hearing impaired, and film versions in simple German. You can purchase unlimited school licenses for single films, flatrates for films of individual subjects or - at especially attractive conditions - the flatrate for all school films. All flatrates are valid for 1 calendar year after ordering and expire automatically. The flatrates are also well suited as sponsoring for local companies or your fundraising association - the online school films benefit all children at your school. Do you want to help your children with their homework but your memory is a little bit hazy? Does your child enjoy watching videos and learns better when the material is presented in a motivating and modern way? Does your child need to catch up on or refresh some topics? 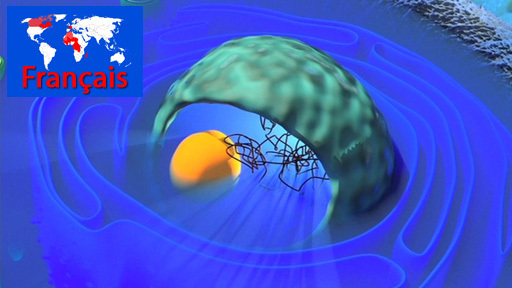 We offer educational films which concisely sum up individual topics. All contents are quality-controlled, free of advertising and prepared strictly according to the curriculum. We offer over 1,000 school filmsfrom 13 subjects. With the parents flatrate, you can watch all of the films as often as you like with your children. The flatrate is valid for 1 calendar year after ordering and expires automatically after 1 year. All school films shown here are original productions of JPP MEDIEN GmbH in Cologne. We can therefore grant potential cooperation partners all rights of use and look forward to working together with you. Thanks to their short length and focused content, the school films are perfect for use in digital school books and E-learning. Many school films can also be used to visualize background information for museums and other exhibitions. It is also possible to create various language versions for the international use of the school films. We would be pleased to provide you with a quote for your particular use. We like to present our new website.